The use of Shimano’s bench-mark STEPS system provides a high level of reliability and an ease of use to match. With a charge time of four hours and a range of 125km, STEPS pushes the E-bike market into new territory. Utilising a unisex step-through design, Electron is offered in two specifications that both use low maintenance Shimano internal hub gearing. The Electron Di2 uses the new Nexus Di2 hub, offering great features such as walk assist mode. Puncture resistant E-bike tyres keep you glued to the tarmac whilst full length mudguards protect you from spray when the weather turns. 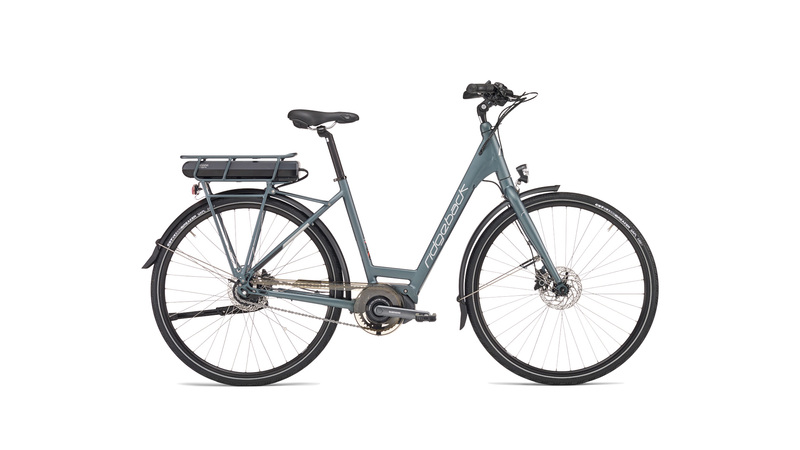 Wired-in AXA front and rear lights make a Ridgeback Electron a great choice for year round transport.